The drink was originally developed by James and William Horlick and is now marketed and manufactured by GlaxoSmithKline (in the United Kingdom, Australia, New Zealand, Hong Kong, Bangladesh, Pakistan India, and Jamaica. How is it made? In the initial stage of manufacturing, milled malted barley and wheat flour are mashed together in hot water where the starch is converted into sugars. To this sugar solution dairy powders are added. The water content is then evaporated to form a syrup that is dried in vacuum band driers to form a cake. This cake is milled into the finished powder. However, malted drinks may help to stave off hunger overnight, which can lead to sounder sleep. The word "Horlicks" is often taken to be a swear word as in “he made a right Horlicks of it”. This use was exploited by the company in a 1990s advertising campaign, in which a harassed housewife exclaims "Horlicks" in a context where a stronger term could have been expected, thus widening the exposure and usage for a while. Dan Dare, Pilot of the Future serial was sponsored by Horlicks in 1952 and heard Monday to Friday at 7:15 p.m. over Radio Luxembourg. In Australia and New Zealand, Horlicks is imported from the UK and marketed by GlaxoSmithKline. In Hong Kong, Horlicks is known better as a café drink than as a sleeping aid. It is served at fast-food shops. It can be served hot or cold, and is usually sweetened with sugar. It is made with warm milk, and ice is added to it if a cold drink is desired. Horlicks came to India with the British Army; the end of World War I saw Indian soldiers of British Indian Army bringing it back with them. Punjab, Bengal and Madras Presidencies became early adopters of Horlicks and many well-to-do Indians took to drinking Horlicks as a family drink in early 1940s and 1950s. It became a sort of status symbol in upper middle-class Indians and rich classes. The first flavour available in India, as in Britain, was malt. 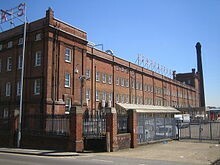 Here it has traditionally been marketed as The Great Family Nourisher, is the largest market for Horlicks. The Indian formulation for Horlicks is slightly different than in most other countries, as it is manufactured from buffalo milk rather than cows milk. In 2003, the brand underwent a revamp which led to the introduction of new flavours such as vanilla, toffee, chocolate and honey, The current line-up of flavours include original (malt), chocolate and elaichi with the latest offering Horlicks Kesar Badaam added recently to the portfolio, providing a more specialized taste offering to the consumers. In recent years, there has been an increase in the scope of the brand in India. Horlicks has become an umbrella brand for a wide variety of products ranging from the malt drink to instant noodles, confectionery and breakfast cereal. There are special formulations of the malted drink for young children (Junior Horlicks), breast-feeding mothers (Mother's Horlicks), women (Women's Horlicks) and adults (Lite Horlicks) exist. Horlicks biscuits were first launched in 1993 and an energy bar was launched in 2009, named Horlicks NutriBar. Also in late 2009, Foodles, a brand of instant noodles, was launched under the Horlicks umbrella. This was followed in 2011 by launches of Horlicks Gold, a premium variant of the malt drink (dubbed The Best Horlicks Ever), and Horlicks Oats, the first breakfast cereal product under the Horlicks brand. 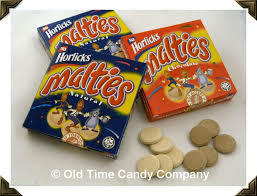 In some Southeast Asian countries, such as the Philippines and Malaysia, Horlicks was also sold as milky-chocolate-flavoured discs in paper packets, which were then eaten as sweets. 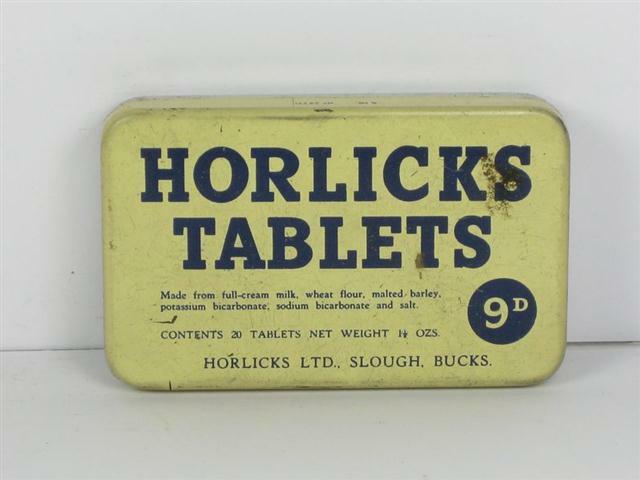 Horlicks remains popular in Malaysia and Singapore where it packed under licence and sold in large glass and tin containers. It is also available in 1.5 kg refill packs. The company also owned Horlicks Farms and Dairies, a cheese, dairy and cattle breeding Station at "Hort Bridge", Ilminster, Somerset. In 1958, it took over The Cheddar Valley Dairy, and by the early 1960s had retail rounds, depots, and shops at Burnham, Cheddar, Clevedon, Glastonbury, Nailsea, Taunton, and Weston-super-Mare. On 02/09/1960 the number one single was Apache - The Shadows and the number one album was South Pacific Soundtrack. The top rated TV show was No Hiding Place (AR) and the box office smash was Psycho. A pound of today's money was worth £13.68 and Tottenham Hotspur were on the way to becoming the Season's Division 1 champions. On 02/09/1961 the number one single was Johnny Remember Me - John Leyton and the number one album was Black & White Minstrel Show - George Mitchell Minstrels. The top rated TV show was Blackpool Tower Circus (ATV) and the box office smash was One Hundred and One Dalmations. A pound of today's money was worth £13.25 and Ipswich Town were on the way to becoming the Season's Division 1 champions. On 02/09/1962 the number one single was I Remember You - Frank Ifield and the number one album was West Side Story Soundtrack. The top rated TV show was Coronation Street (Granada) and the box office smash was Lawrence of Arabia. A pound of today's money was worth £12.89 and Everton were on the way to becoming the Season's Division 1 champions. The big news story of the week was 20000 killed in Iran earthquake. On 02/09/1963 the number one single was Bad to Me - Billy J Kramer and the number one album was Please Please Me - The Beatles. The top rated TV show was Coronation Street (Granada) and the box office smash was The Great Escape. A pound of today's money was worth £12.64 and Liverpool were on the way to becoming the Season's Division 1 champions. On 02/09/1964 the number one single was Have I the Right? - Honeycombs and the number one album was A Hard Day's Night - Beatles. The top rated TV show was No Hiding Place (AR) and the box office smash was Dr Strangelove. A pound of today's money was worth £12.24 and Manchester United were on the way to becoming the Season's Division 1 champions. On 02/09/1965 the number one single was I Got You Babe - Sonny and Cher and the number one album was Help - The Beatles. 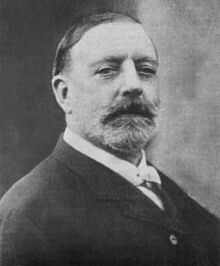 The top rated TV show was Coronation Street (Granada) and the box office smash was The Sound of Music. A pound of today's money was worth £11.69 and Liverpool were on the way to becoming the Season's Division 1 champions.